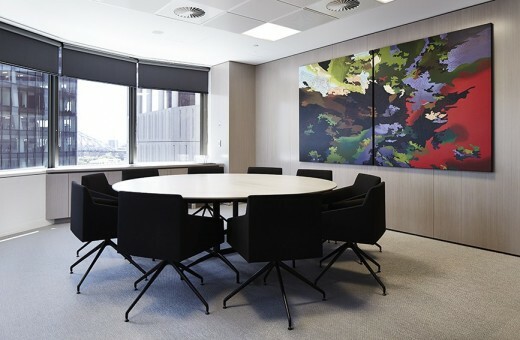 Conrad Gargett Riddel Ancher Mortlock Woolley (CGRAMW) has designed the new Brisbane office for leading audit, tax and advisory firm, BDO, showcasing the importance of design in facilitating a positive organisational culture. 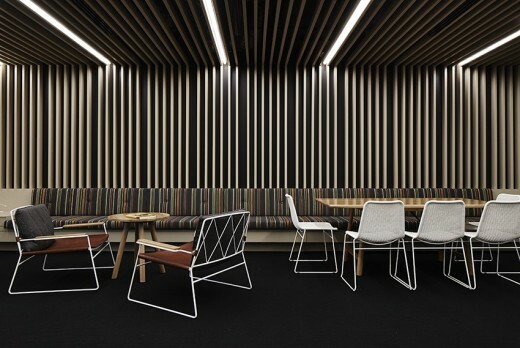 Staying true to BDO’s work culture and brand, CGRAMW has created people-focused spaces that embrace contemporary workplace needs, without being dictated by current trends. The practice collaborated with workplace culture and behavioural experts, Performance Frontiers to engage in vision workshops with BDO leaders and team members on how the Brisbane firm would work both now and in the future. The collaborative briefing process involved CGRAMW sharing its workplace design knowledge and research into current trends while Performance Frontiers offered insights from the perspectives of neuroscience and workplace behavior. 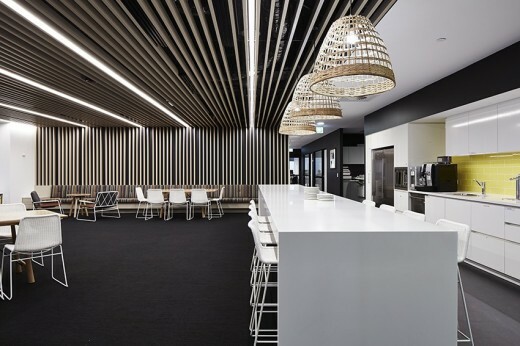 “We researched and presented a number of workplace models to ensure the design would be the right cultural fit for BDO in Brisbane,” said Yvonne Rantzen, Senior Associate, CGRAMW. According to Performance Frontiers Managing Director, Gretel Bakker, culture is incredibly important to the success of businesses. “People are your business. How we engage with our people and inspire and influence them to consistently be productive, effective and happy is something that needs an enormous amount of attention and should certainly be catered for in workplace design,” Ms Bakker said. The public spaces have been designed specifically for the client, with an elegant and sophisticated aesthetic, relaxed hotel-style waiting area, and a range of furniture settings and textures in formal meeting rooms that can be ‘matched’ to meeting requirements. Meeting rooms are also technology rich to foster increased collaboration and communication with clients and between BDO’s offices nationally. 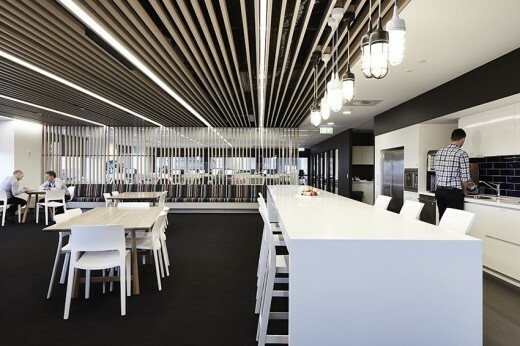 BDO in Brisbane Managing Partner Tony Schiffmann said the success of the design is obvious to all who visit and work in the new premises. “We worked hard to engage our leaders and people during the entire design process so we could continually incorporate their feedback,” Mr Schiffmann said. 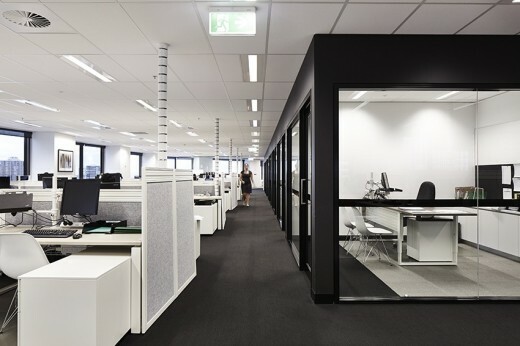 BDO’s new Brisbane office is a 6000 sqm fitout that occupies six levels of ‘the Blue Tower’ at 12 Creek Street and accommodates 450 staff. Through an extensive briefing process CGRAMW examined the workstyles of BDO to understand how the new workplace could support their organisational culture. In conjunction with workplace culture experts Performance Frontiers, CGRAMW ran aesthetic briefing and vision workshops with BDO executives and team members to understand how they would work both now, and into the future. 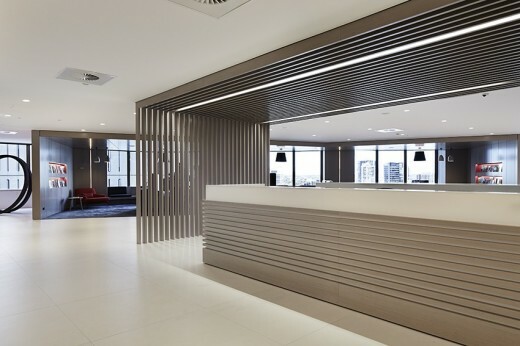 This workshop process established that BDO’s current workplace did not reflect the BDO brand, with inflexibility of built-up space restricting access to light and views. The design inhibited collaboration and the ability for teams to grow and change. The new workplace features a public floor for formal client interface, including reception, a suite of meeting rooms and flexible training rooms. The reception area focuses on heightening the client experience by revealing spectacular framed views through a sculptural timber portal. A refined palette of materials, textures and colours create a domestic feel for the comfort of clients while reflecting the BDO corporate brand. 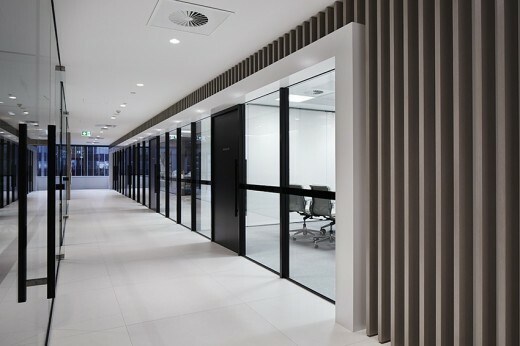 Typical floors were designed with a reduction in private offices to increase communication, natural light access, efficiency and collaboration in the new office. A focused zone of built environment around the core and western facade includes all the fixed, built-in facilities such as offices, meeting rooms, shared quiet spaces, utilities and staff kitchens. 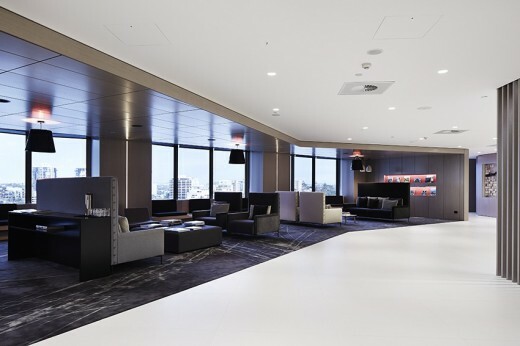 Shared breakout spaces are positioned to take advantages of the best views towards the Brisbane River, and each level has been given its own identity which has been expressed through different finishes and furnishings.